Yes, it's cheesy and full of bacon goodness and it is one of the most satisfying dishes I've created so far. It's food for a rainy day, a hard day or an especially hungry day. 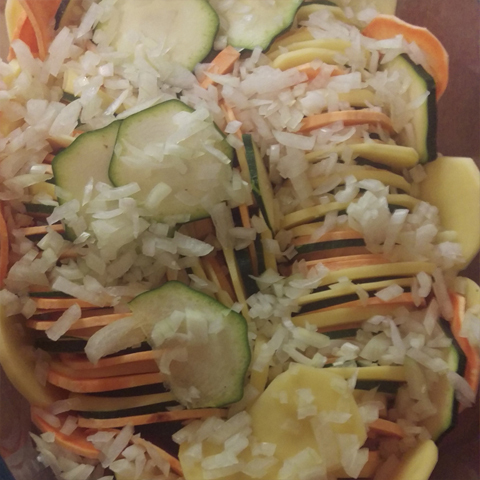 2) Cut the potatoes and the zucchini into thin slices. 4) Pour the cream into a bowl. 5) Press the garlic through a press and add it to the cream. 6) Add the spices to your liking, I add a pinch of salt, a teaspoon of thyme, rosemary, oregano and marjoram, half a teaspoon of cayenne pepper, and a quarter teaspoon of black pepper. 7) Crack the egg and add it to the cream, then stir briskly until the spices and egg are well mixed within the cream. 8) Pour the mixture over the stacked potatoes - this is the liquid that will add the taste to the potatoes and cook them. 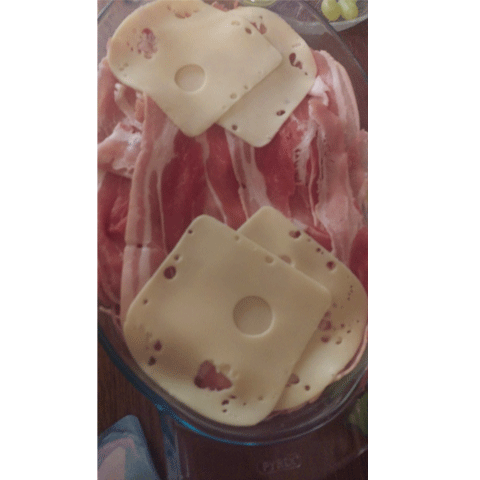 9) Now top the casserole with the bacon, lay it crosswise to avoid the fat stripes lying above each other. 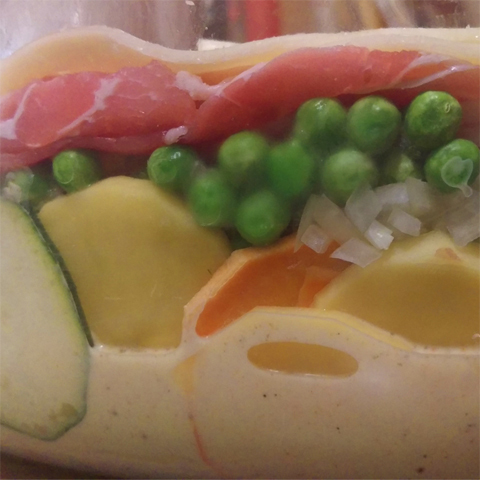 Now place it in the oven for about 45-50 minutes, and if you like -maybe the crust is not yet to your satisfaction - add 10 minutes under the grill function of your oven until the cheese has a beautiful golden-brown crust. The nutmeg is added to the portion on your plate as a warm finish to an already heartwarming dish. OMG this looks so tasty. I am definitely going to try this.